Our tow truck is a Ford F650 with a 6.7 Cummins diesel engine, with a century split deck tow bed. What's unique about our tow truck it has a “split deck” design bed that allows the end of the bed to pivot, decreasing the angle of the bed; this helps load low profile vehicles safely. 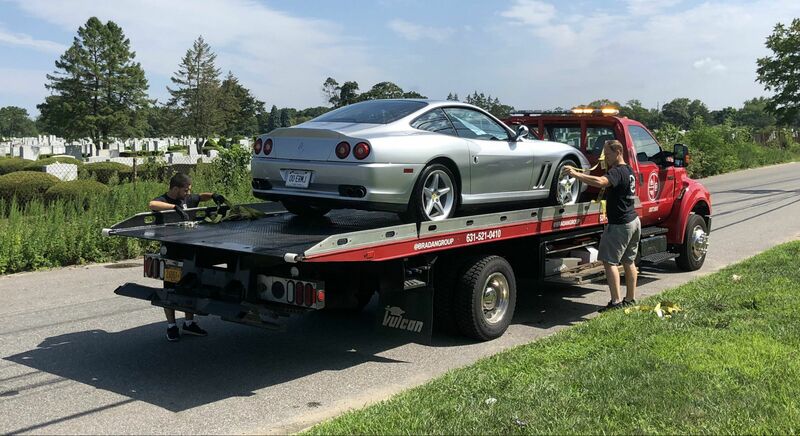 You can rest assured that your vehicle will be safely picked up in the event of a emergency and brought to our secured location by our highly skilled transporters, and we will call you the next business day to discuss the issue. Don’t worry we have your family's back too and don't limit our services to just exotic vehicles. It's our goal to make you and your family's vehicle ownership as painless as possible. Please share our number 631-521-0410 with your friends and family and don't hesitate to contact us in an emergency 24 hours a day 7 days a week. We also offer enclosed trailer transportation for long distance specialty vehicle transportation. Our featherlight trailer features all aluminum construction with a low profile deck to load and safely transport your prized possession. We offer show and race transportation, please contact us for rates and scheduling. 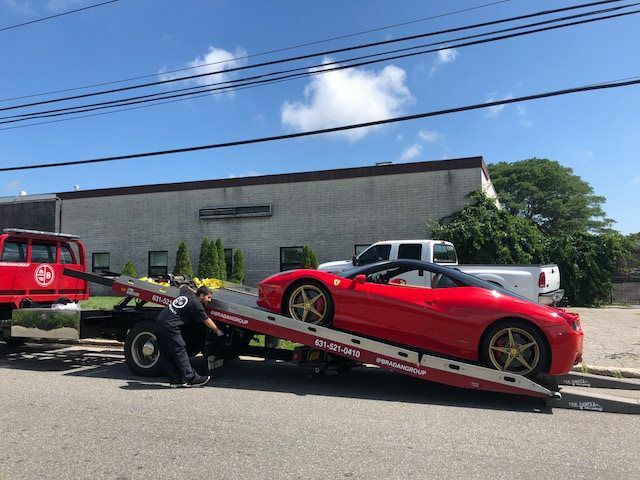 Don’t worry we have your family's back too and don't limit our services to just exotic vehicles. It's our goal to make you and your family's vehicle ownership as painless as possible. Please share our number 631-521-0410 with your friends and family and don't hesitate to contact us in an emergency 24 hours a day 7 days a week. We also offer enclosed trailer transportation for long distance specialty vehicle transportation. Our featherlight trailer features all aluminum construction with a low profile deck to load and safely transport your prized possession. We offer show and race transportation, please contact us for rates and scheduling.